Built to Work. Made to Last. For more than 60 years, high-volume food operations have relied on STERO to meet their critical warewashing needs. STERO’s high quality, durable and efficient equipment is not just the best value in the industry, it’s an investment in quality built to work, made to last. STERO sets the standard for innovation and rugged construction, manufacturing heavyweight performers designed to work harder and last longer than any other brand. STERO designs units that integrate all dishroom clean-up elements into practical arrangements. Stero’s integrated system concept offers precise designs configured to fit the unique requirements of any operation. Solve Problems, Control Costs, Boost Profits. If high-volume waste is shrinking your profits, Somat gives you room to grow. It’s a custom built system designed to reduce foodservice waste volume by up to 80%, helping lower labor costs, reduce theft, improve sanitation, conserve water and energy, while enhancing the efficiency of workspace. Choose from a full line of close-coupled and remote systems from the pioneer in waste reduction – with more than four decades of experience and innovation. Don’t you wish all your problems could be solved this easily? Choose Somat’s pulpers today! A manufacturer of heavy-duty food waste disposers and controls based in Murfreesboro, Tenn. With their supperior performance and affordability, Red Goat disposers are a must have for any food waste reduction strategy. 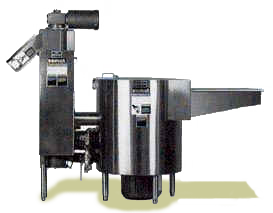 Master Disposers has been manufacturing commercial food waste garbage disposers since 1960. They are known for producing long lasting heavy duty garbage disposers that last for years. 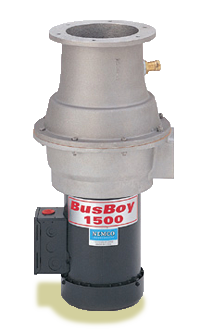 They offer the broadest line of disposers available in the commercial disposer industry. These disposers are maintenance friendly and field serviceable, without the use of any special tools. Since 1936, Fisher Manufacturing has been dedicated to providing its customers with the most advanced commercial plumbing systems available. For three generations the Fisher Family has adhered to a strict dedication of consistent performance, product dependability and overall value. When you install Fisher… you’ve installed the best. Fisher hardware is manufactured with a standardization of internal mechanisms. All chrome plating is triple plated — copper, nickel, and chrome — for durability. Every fixture Fisher makes is rigorously tested in both their modern in-house testing center, and in actual field situations under extreme conditions. Every detail is thoroughly checked and re-checked. So you get proven performance…Guaranteed! Jackson is creating tomorrow’s solutions by understanding the needs of customers today. Jackson is part of a tradition that was founded, from the beginning, on passion: Passion for designing, engineering and building warewashing and related foodservice equipment that perform in remarkable ways. Jackson is now over 75 years young! The company has made significant investments in their state of the art manufacturing facility. This facility features enhanced engineering sophistication and on site machining capability that drives innovation to better address the unique challenges of today’s foodservice equipment market. In foodservice, warewashing is all about efficiency, durability and simplicity. No one makes warewashing easier than Carlisle. Carlisle offers every rack, basket and accessory you need to get the job done. BusBoy® food waste disposers are built tough … to work hard and work long in the toughest foodservice environments. That means dependability. And that means fewer headaches for you. BusBoy® horsepower has proven its strength in commercial kitchens around the world. Sealed shafts prevent motor damage, and noncorrosive parts virtually eliminate the chance of a sudden breakdown. Oversized grinding tables improve speed and reduce motor strain for faster, more efficient grinding. Cast chrome alloys provide maximum grinding performance.